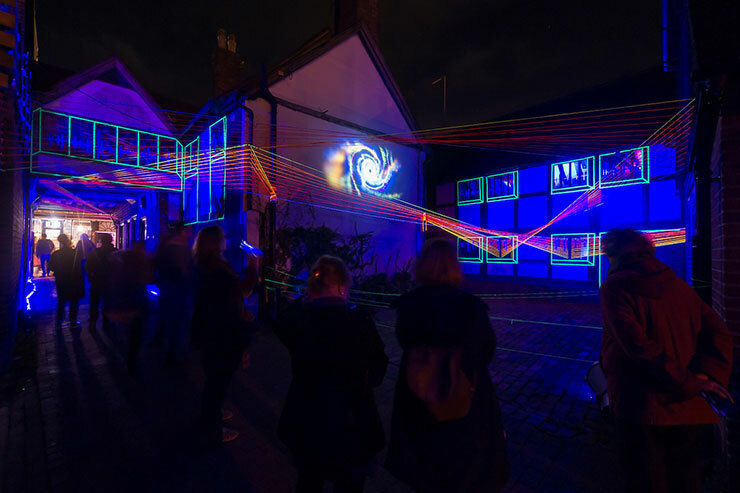 LewesLight is an event created by lighting designers, with the majority of contributors independent lighting designers, but including work from artists working with light. 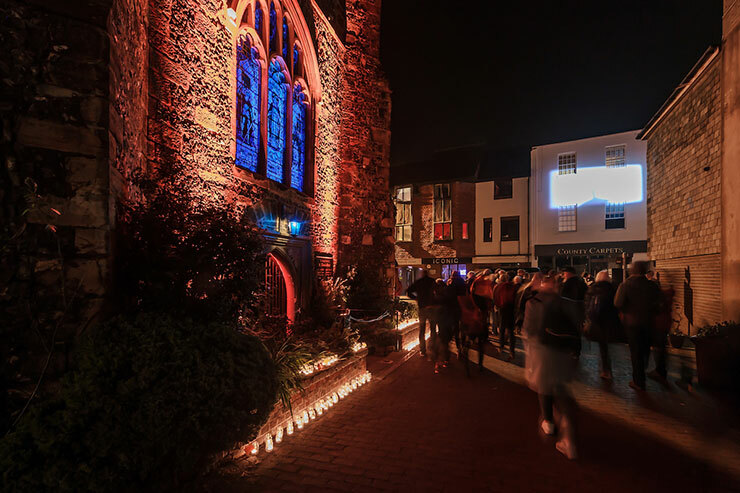 The festival applies lighting design principles. 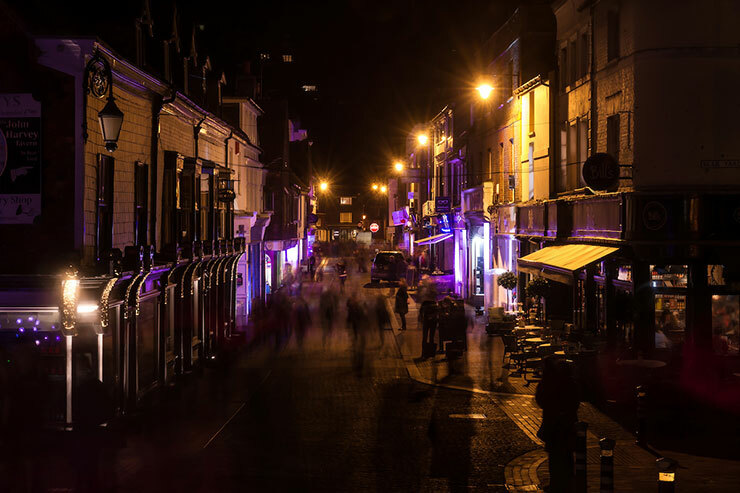 Installations are site specific and developed around a coherent theme and narrative based on the heritage of the town and its people. This year it explored trade, industry and commerce. The festival aims to promote the town, its economy and tourism. 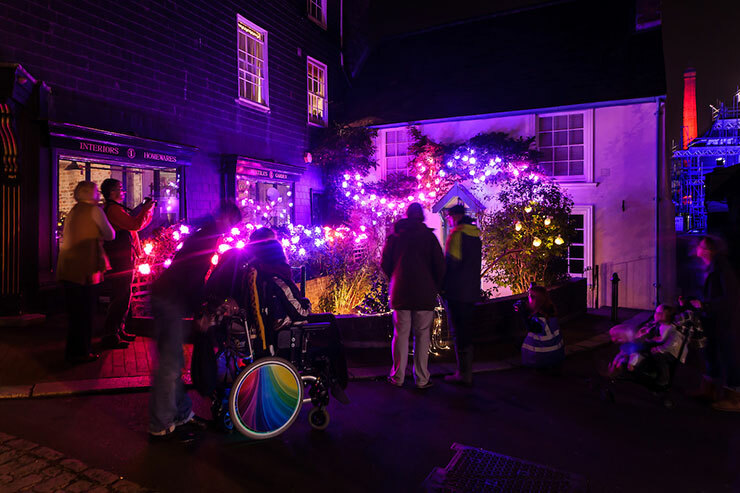 It is a community event engaging with local people to take part in many roles from guides to assisting with developing installations. It works with students and young people promoting design and engineering and the collaboration between different disciplines. It aims to work with people from all educational backgrounds, providing opportunities for training and entry to higher education. The event was free to all, attracting over 10,000 people in three days. 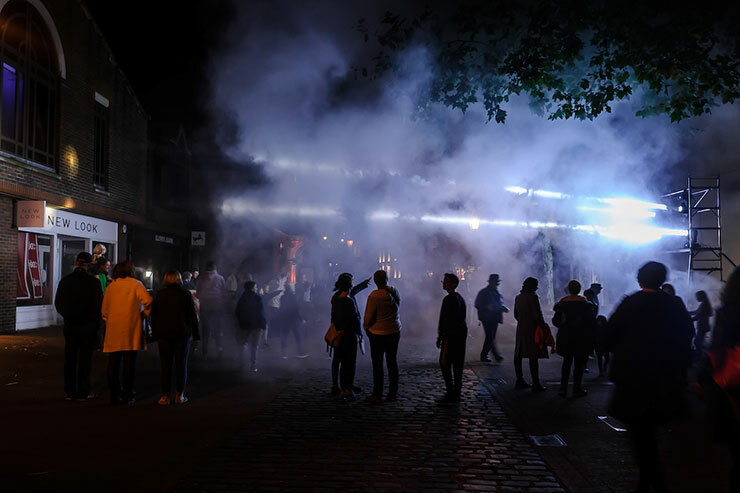 The festival aims to work with public space, creating immersive and reflective experiences that enhance and challenge the perception of these spaces and how they are used. 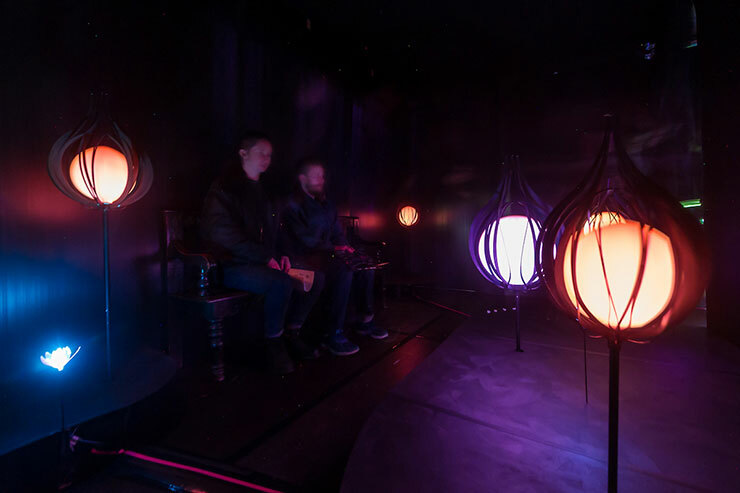 The festival aims to be inclusive and accessible using light, sound and structures to create cohesive sensory experiences. 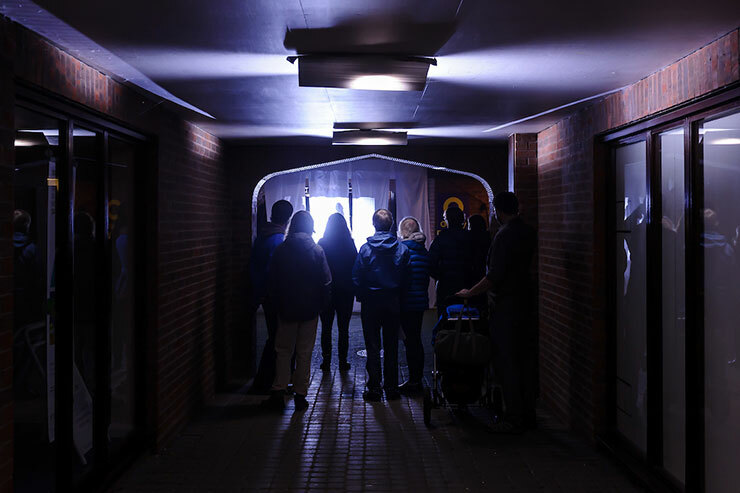 The festival runs on a very small budget with all professionals contributing for no fee, supported by lighting manufactures and suppliers loaning equipment. Designers and artists are challenged to show their skill creating installations with little resource. 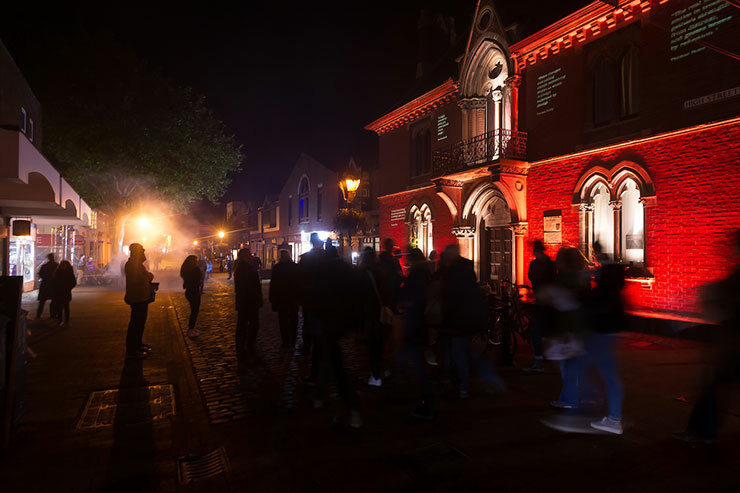 The festival aims to promote independent lighting designers and the profession, working with all the major professional lighting bodies in the UK.